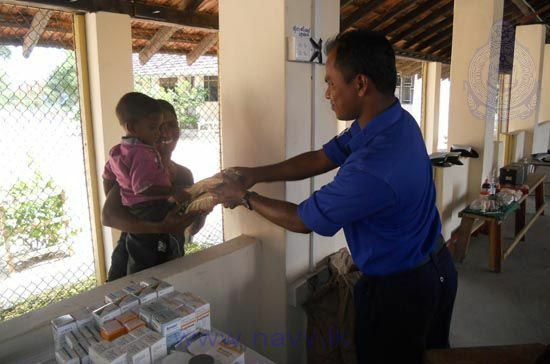 Reaching out to the resettled people of the North Western region Sri Lanka Navy conducted medical health clinics on 03rd and 21st March. Naval personnel attached to the Northwestern Naval Command conducted these clinics for the Tamil and Muslin people of Kayakkuli, Karadamadu, Mullikulam, Marichchikaddi, Komdachchi and Kokkupadayan villages in the Mannar district. More than 300 patients who sought medical care were treated at primary care level. Basic laboratory investigations were also performed free of charge. 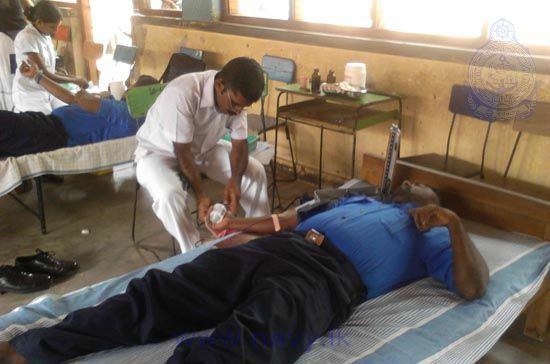 In addition, a blood donation campaign was also conducted where a large number of naval personnel volunteered to donate blood. A number of state and private sector institutions had extended support towards the programme.